Johnston Companies is a full service distributor of industrial and MRO products. We are a woman-owned small business, with separate divisions specializing in aerospace, manufacturing, and government services, providing a full range of parts and products to our industrial customers. Through our website, email, phone or fax, our customers have access to a breadth of items: cutting tools, safety products, abrasives, storage units, hand tools, measuring tools and more. Most stock items ship the same day as ordered from our warehouses across Missouri, Kansas, Oklahoma and Texas. 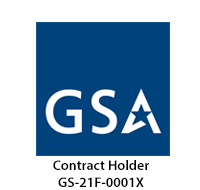 On-line access to contract ordering information, terms and conditions, up-to-date pricing, and the option to create an electronic delivery order is available through GSA Advantage. In addition to these brands, Johnston Companies represents over 3000 brands. You can view our full line card to see the brands that we represent outside of our GSA Contract.